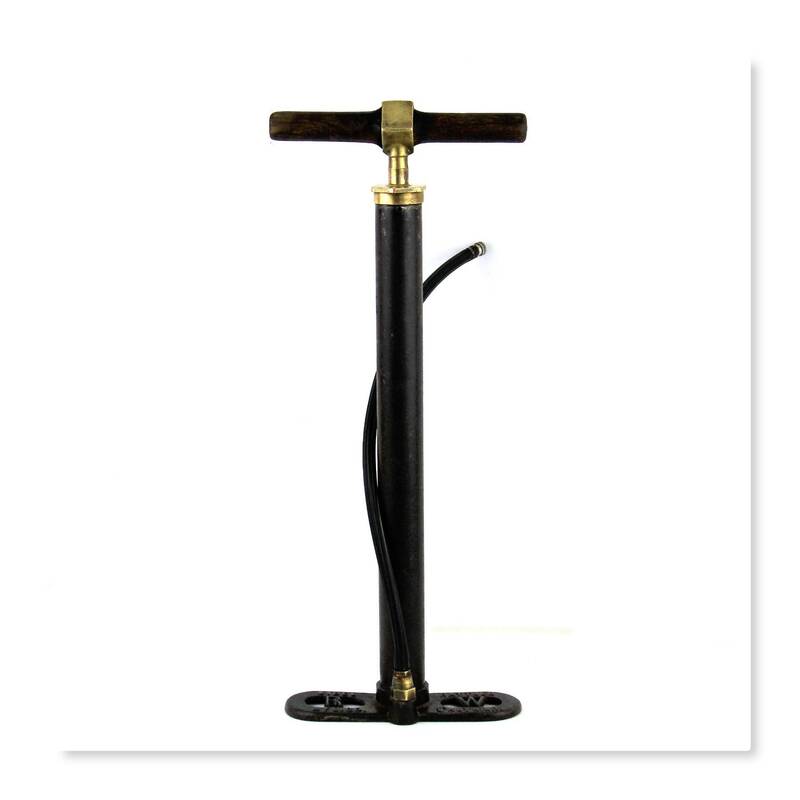 We have for sale an Antique Bicycle / Automobile Tire Pump, Sidel Rattner, Brooklyn, NY. 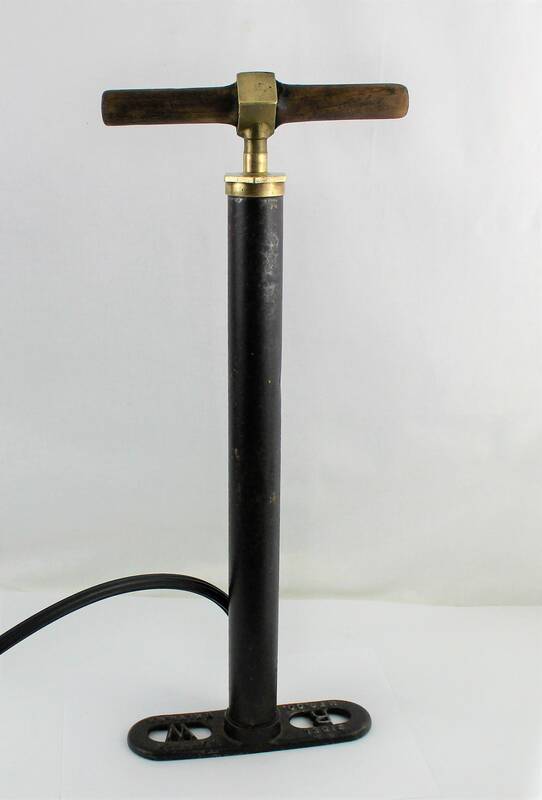 Wonderful turn of the century 1900s Tire Pump made by the Sidel Rattner MFG Co. of Brooklyn, NY. 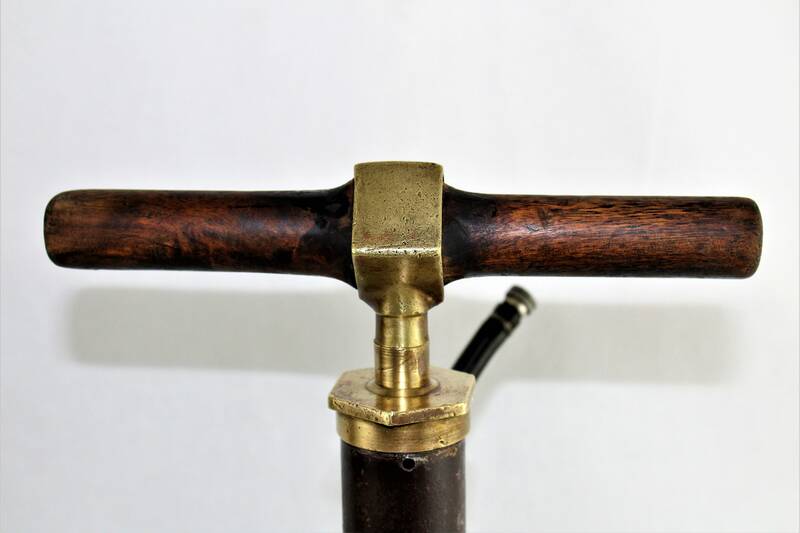 This hand operated air pump could have been used on Bicycle or Automobiles back in the early 1900s. 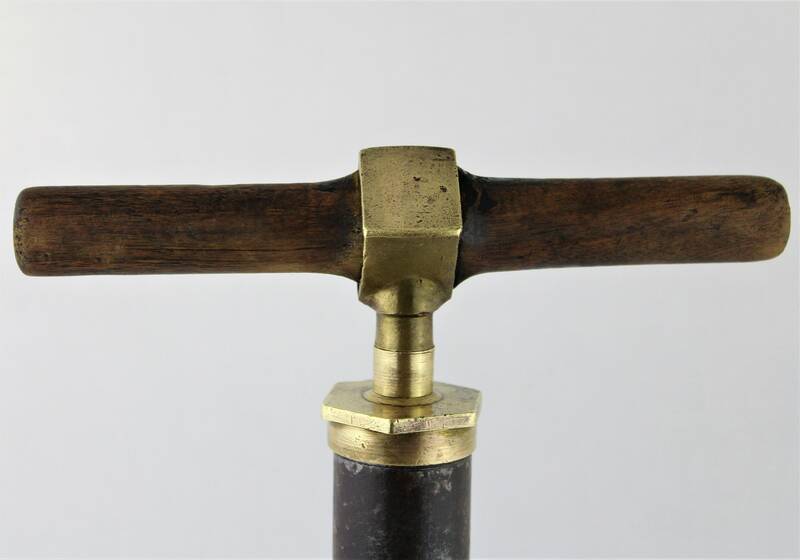 It is made of case iron base with the company name on it and metal tube with brass fittings and a wooden handle. Base is marked R W (Rattner Works) Sidel Rattner MFG Co. Brooklyn, NY. 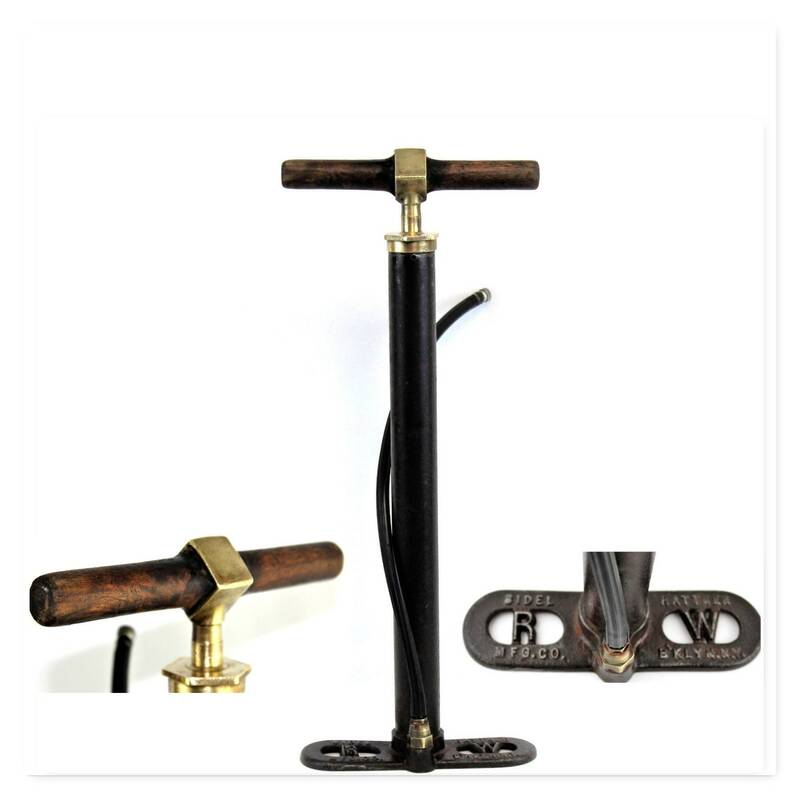 Will make a wonderful display piece for anyone into old Bicycles or Automobiles. Selling as a display item. 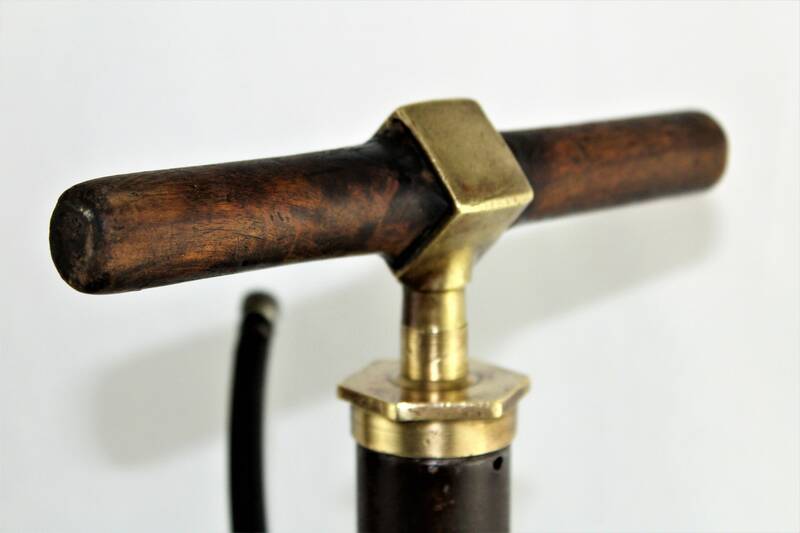 Condition; Vintage with scuffs and dings and corrosion, It does pump air but could use some TLC and new hose.